Remember the Milk is a web-based task and time management application. It allows the user to manage tasks from computer and smartphone, both online and offline. 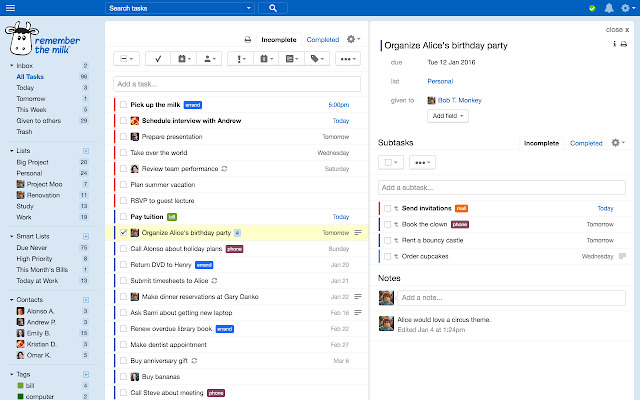 Tasks can be organized by tags. What is your favorite Remember the Milk hotkey? Do you have any useful tips for program? Let other users know below.